Stigma & Cognition "Found in Translation"
Stigma & Cognition New York is a Korean non-profit organization that seeks to create a platform for cultural exchange between East and West. 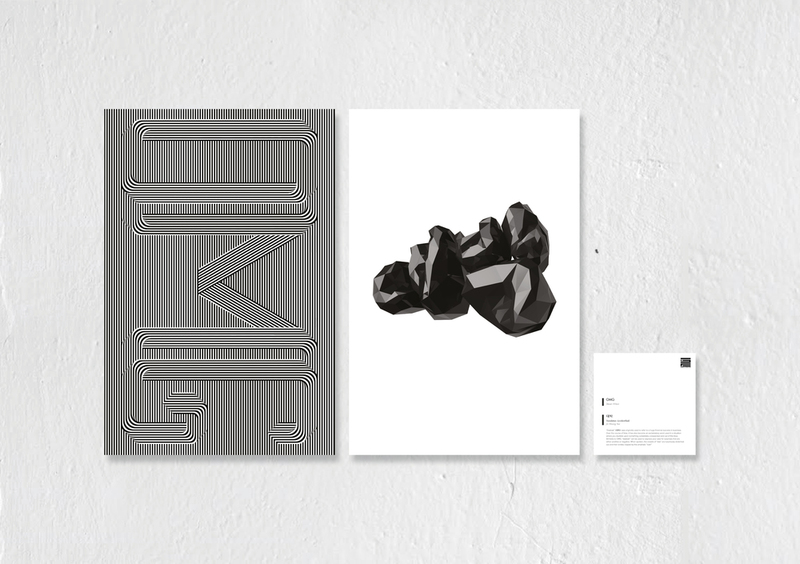 Established in 2012, the team consists of young, creative professionals with expertise in design, advertising, fashion, and media. 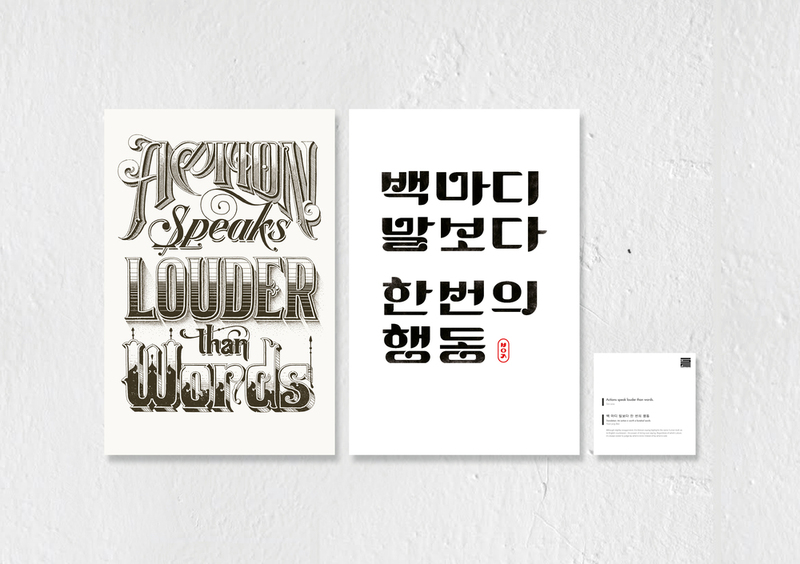 One of the main initiatives includes an annual Korean typography exhibition. 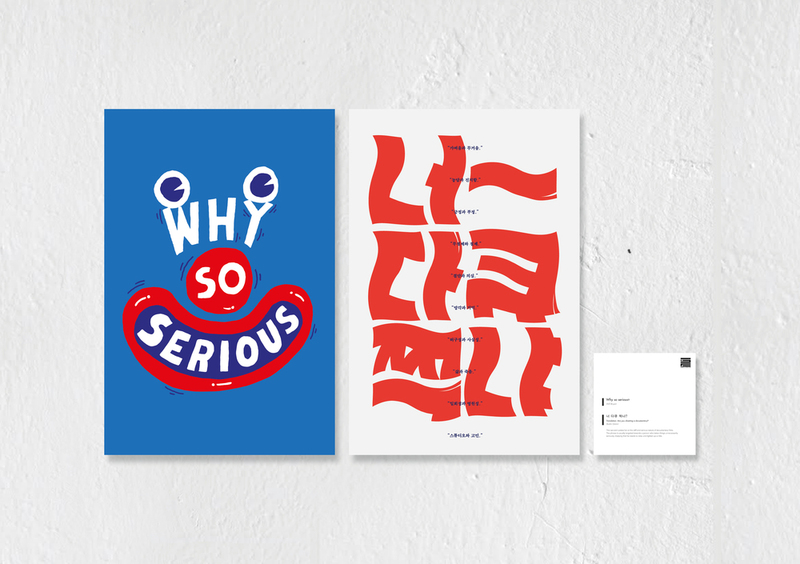 We hosted our very first exhibition at the Art Directors Club in 2013. 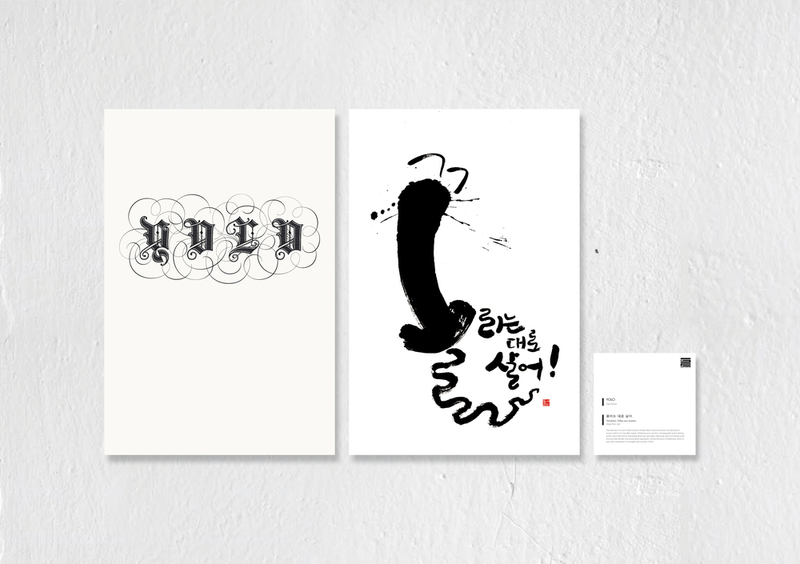 Showcasing a body of work from Korea’s most renowned typographers, the show successfully debuted Hangul (the Korean alphabet) as a distinct genre of typography to Western audiences. 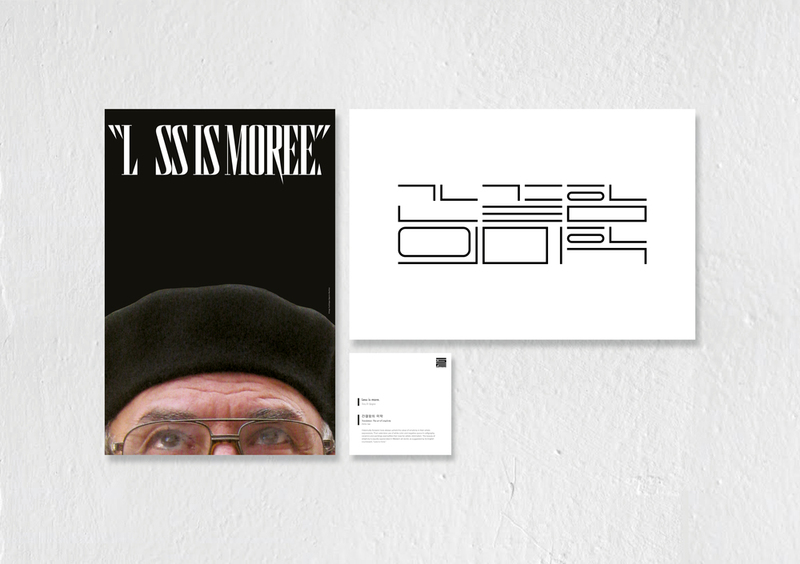 The show sparked a greater dialogue amongst designers, art directors and professors about Hangul’s place in the design world. Due to popular demand, the Art Directors Club extended the show for an additional week. Following the success of our inaugural show, our second exhibition was sponsored by the Korean Ministry of Foreign Affairs. 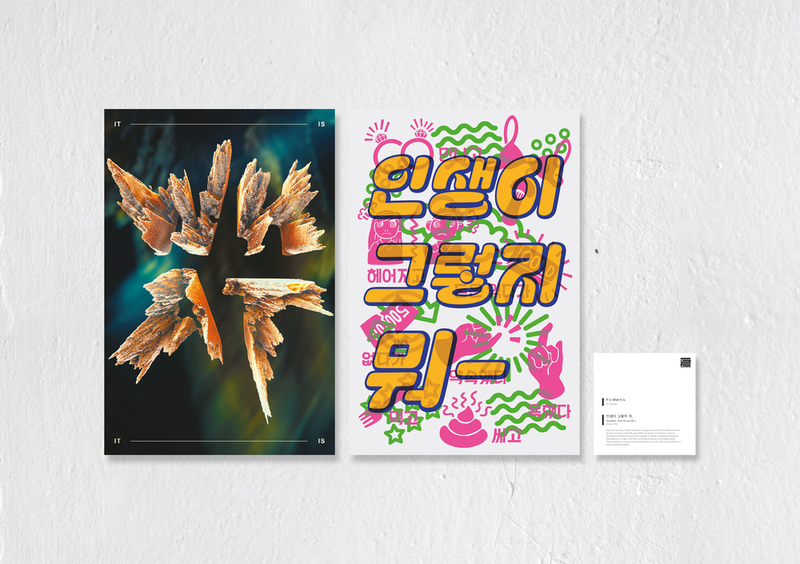 While the previous year’s show announced the potential of Hangul as a powerful design element, our sophomore effort broadened our reach to a wider audience by featuring themes of a more approachable nature. 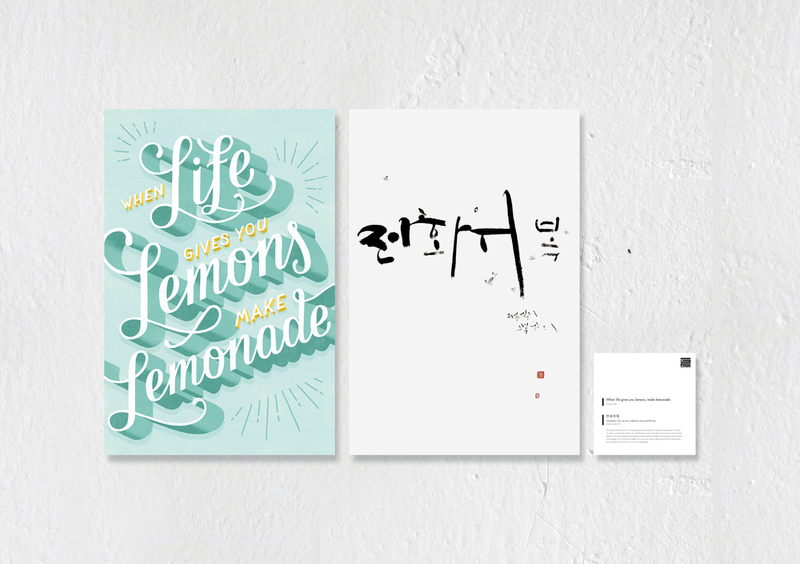 We invited 22 Korean artists and 22 Western artists to illustrate popular idioms that represent a common sentiment in the Korean and English language, respectively. For instance, the Korean proverb “another’s rice cake always looks bigger than one’s own” has its English sibling, “the grass is always greener on the other side”. The juxtaposition highlighted the nuanced similarities and differences between the pairings. 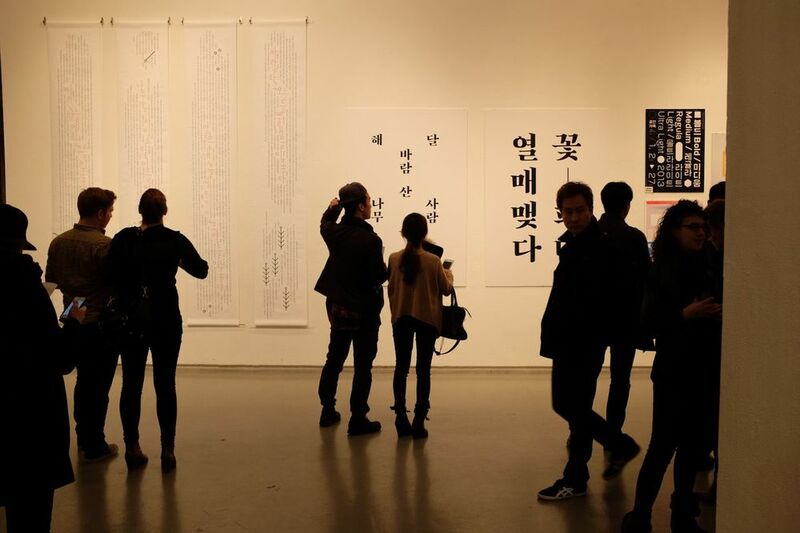 The Found In Translation exhibition garnered critical acclaim on its opening night and was featured on major American publications including BuzzFeed and Complex Magazine and on Korean network television. Following the success of the SoHo exhibition, Stigma & Cognition opened a sister exhibition in Seoul, Korea at FIFTY|FIFTY Gallery. 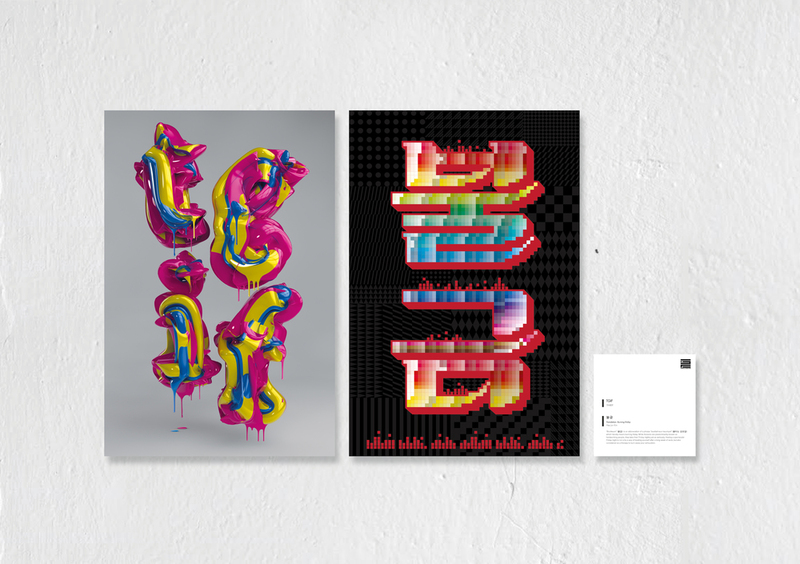 As a part of the opening, a select number of the featured Korean artists as well as Brooklyn-based artist, Lauren Hom led a two part seminar on typography and design for local art and design students. See the video on the right for the coverage of the exhibition by Korean TV network, The Icon. See below for the full body of works from the exhibition. You can read full description of each artwork here.